The Orion Nebula, composite of three 60″ monochromatic images taken in R, G, and B filters, SBIG 11000XM CCD Camera, Celestron C14, images processed using IRAF and stacked using Photoshop Elements. Taken from Whitman College Hall of Science. This entry was posted on May 9, 2012 by Zach Schierl. 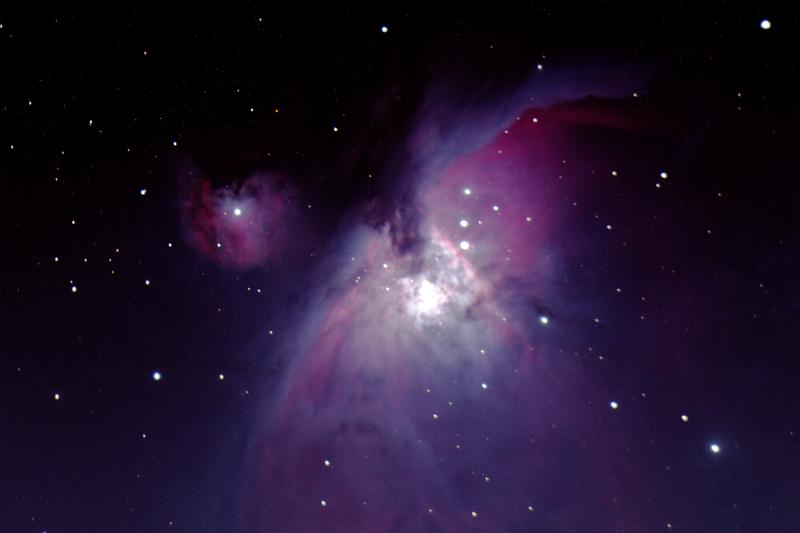 It was filed under Astrophotography and was tagged with astrophotography, M42, orion nebular.